Can I Fax from my Android Device? Sure Can! 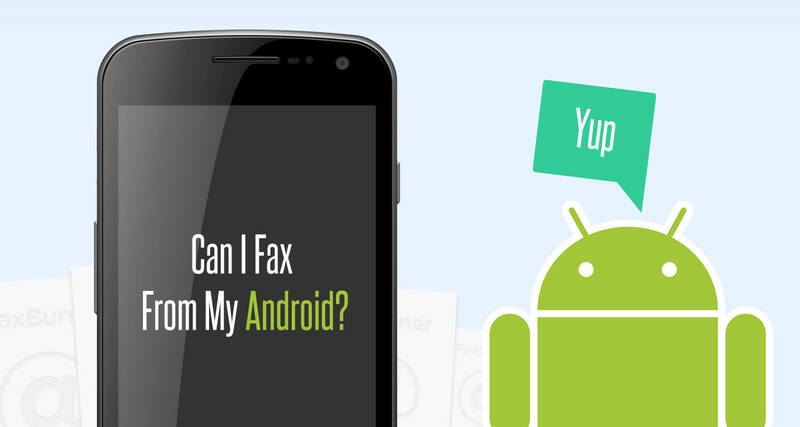 Can I Fax from an Android Device? Our increasingly paperless world means that, chances are, you only occasionally have a need to fax. The good news is that technology is continually evolving and with that, so are operating systems. In fact, you don’t even need a physical fax machine to fax anymore. So let’s say you’re on the road one day and you find yourself needing to send a fax. Fortunately, there are services like FaxBurner, which operate as a virtual fax machine. Better yet, they’re accessible with nothing more than your Android phone. Online fax services are dedicated fax numbers hosted by a particular service provider. One of the primary benefits is that such services can be used to either receive or send faxes by merely using a tablet or an Android phone, computer, or email. By contrast to conventional fax machines, online fax services don’t rely on a dedicated phone line available in your house, as they offer the capacity to manage or access communication from anywhere in the world where there’s a reliable internet connection. You are able to use the same account to send or receive faxes from any smartphone – Android or iPhone. Additionally, interfaces are relatively similar to a web-based email account. In other words, the transition is quite smooth and accessible to anyone. You can also fax using the camera feature on your device. Easy! You can download the Android app from the Google Play store, for free. Similar to the conventional way of sending a fax, you enter the destination number, add coverage page comments, and attach your file from your device, Dropbox, or by taking pictures with your phone’s camera. With FaxBurner, another option is to simply use email. Using the email address associated with your account simply send an email to send@faxburner.com. All from your Android’s email client and without even opening an app. Their both easy. Just choose the method that’s easier for you. Just as with the process of sending a fax, you are able to receive a fax through an app or through email. Regarding the online fax service, you will have the service provider acting as a host for the fax infrastructure. Instead of a physical machine the fax service routes what the sender is putting through to your cloud-based account – accessibly by phone, tablet, or computer. Typically a copy is also sent to your email as well, with the fax as an attachment. Very convenient! Even more convenient is that your Android fax app lets you view, edit, and sign faxes and send them back. All without printing. To complete the process without any problems along the way, you will need to have an Android phone with either an active and stable data, or internet connection – whether it is cellular data or Wi-Fi. An excellent piece of advice is installing the latest software version, helping with any app compatibility issues. Afterwards, you will need to find a free service, if available, or choose a subscription to an online fax service of your choice. Once that’s done, just choose your document and then you’re all set. Yes! It is certainly possible to fax from your Android device. Options exist for both occasional and frequent users of fax services. The process is very simple, and user-friendly. FaxBurner is one such app that lets you send and receive faxes from your smartphone. You can sign up for a free account here.